Mrunal Dusanis is basically from Nashik & truly recognized face in Marathi television Industry who has worked in daily soap in Marathi television. She was born on June 20th,1988. She gained a lot of popularity for her roles in Marathi Television Programs started with majiya priyala prit kalena. She went to Maratha High School and went for further studies in HPT college followed by doing her masters in Journalism. She started her career with Ekta Kapoor’s serial Majhiya Priyela Preet Kalena(Zee Marathi), followed by daily soap Tu Tithe Me on Zee Marathi. She stayed in Mumbai for a long time when she was shooting for Tu Tithe me(Zee Marathi). Actor Chinmay Mandlekar was her co-actor in this TV show. Both these serials get huge hits with the audience.In 2015, she entered the series Assa Sasar Surekh Bai(Colors Marathi) in the lead role of Jui, with co-actor Santosh Juvekar,and was a huge hit. Mrunal Dusanis married Neeraj More,a software engineer, working in USA. The marriage happened on 25Feb 2016. 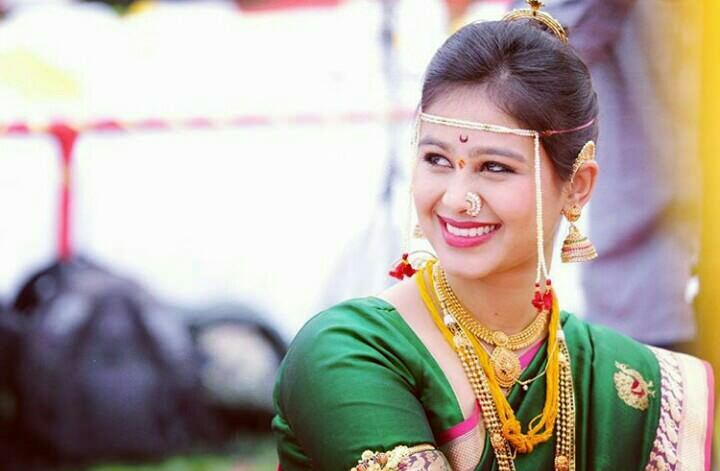 There was a possibility that Mrunal will mostly shift to America after marriage that her ongoing serial Asa Sassar Surekh Bai might end or will have her replacement then audience not accept the show then show will be go affair .However, as of 2017, the serial is still going strong on Colors Marathi with He man Baware Tv Serial. Next articleBoy2 Box office Collection 2nd week cross 10cr..? ?